You only have to read the titles and the trend-naming — ‘Tiny Mummies’, the Tycoon of Teen, Radical Chic, From Bauhaus to Our House, the Me Generation, The Right Stuff — to see, instantly, that there was something here. Like some motormouth manager promoting the new pop group he was making famous and secretly ripping off, he had the liveliest huckster’s imagination. Here was a energy that made thing happen: Wolfe watched and listened and took notes and got inside heads — some heads — and when he got back to the page, delivered an intensely vivid cartoon sketch of a scene, sound effects in place among capitals, italics, dots, dashes and exclamation marks, the main narration often broadcast as if from behind the eyes of its participants, an inner-monologue ventriloquism that enabled the writer subtly to imply unreliability or even foolishness in a scenester. It was the 60s: pop and pop art and a turbulent politics of change were all crashing into one another. Newspapers and magazines knew they needed to explain this to their readers — they also knew, or half-guessed, that many of the scenes that required decoding lived outside the ordinary daily language and grasp of journalistic habits of expression as they then existed. More: that these scenes had sprung into being to shrug off and keep a distance from the boredom and worse bonded into the habits of everyday life, bonded and affirmed (these escapees Norman Mailer termed hipsters — a word once rich in possibility, now contracted and soured). And of course — especially in respect of the politics — the distancing also worked the other way: people by reason of poverty or race or gender or sexuality not allowed into the mainstream conversation while fully being themselves. 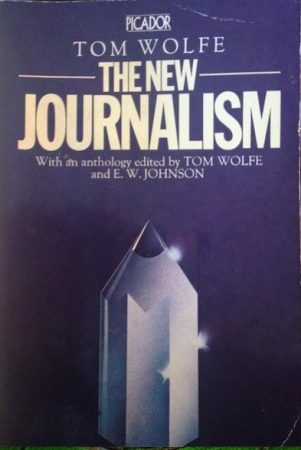 Co-edited with E.W.Johnson, Wolfe’s collection The New Journalism arrived as a Picador paperback in the UK in 1975, just as UK rock-writing was getting into full stride. The latter was dreaming, naively but nevertheless genuinely, to conjure a bohemian space, based largely on record reviews and interviews, in which the self-distancers and the reluctantly distanced could engage and exchange ideas and support, and (perhaps) even celebrate one another. They loved pop and hated it, and understood well its textures and contours and contradictions — and wrote about them every week, and some of what they wrote was great, and some was terrible. The former, the New Journalism collection, contained stories or extracts of stories from 21 writers other than Wolfe — and was gobbled up for the techniques and possibilities it contained. The range of topic was huge — from hippies to cops, from Hollywood to war, from southern rural poverty to high finance to diet cranks— and the range of sensibilities was also notable (and key, to both technique and purpose). Joan Didion and Garry Wills somehow entirely belonged without being at all like one another, let alone like Terry Southern or Joe Esterhasz. This sense of variety within a shared outsider template was I think enormously important to the bolder young music-writers of the 70s. Wolfe included (editor’s prerogative) two extracts from his own work (from The electric kool-aid acid test and from Radical Chic and Mau-Mauing the Flak Catchers), as well as a 50-page introduction which quotes several other Wolfe pieces, to explain what the New Journalism was and why it was needed. This included an affectionate portrait of the pre-new journalism he came up in, complete with the highest praise for the concept of shoe-leather — he explains (correctly) that the reason that the great New York Daily News columnist Jimmy Breslin was never boring was simply that (unlike 99% of other columnists) he left his desk and his building and went out to find stories, by talking to people. This is likeable stuff, as is his argument that such writers were not only unsung in the world of high literary appreciation, but often ill-understood. Less likeable, perhaps, is his self-congratulatory retelling of the ‘Tiny Mummies!’ episode. This was his 1965 takedown of the embalmed culture at William Shawn’s New Yorker, its writing impeccably researched and literary, but also dusty and locked away. The old non-fiction: genteel, neutral in tone so as to maintain the invisibility of the objective view. This raspberry was the scandal that started the insurgency — vulgar young punks running riot in the library, buzzing kazoos and belching. 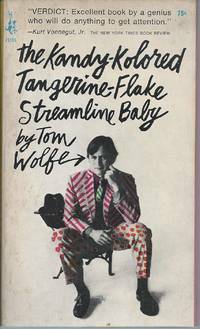 In fact the intro lists them, with many collected in the New Journalism book (including an extract from Truman Capote’s In Cold Blood, first published in the New Yorker: the fact it was in deep prep exactly when Wolfe was razzing Shawn perhaps being something a fairer man would have admitted more openly). One of the insurgency’s techniques — which some readers loved and others deplored — was the way it brought the writer, Hunter Thompson, say, or indeed Mailer, right into the story, as an active participant shaping the event. And the ’Tiny Mummies’ tale does this with Wolfe — but it’s actually not a technique he often uses. One place he did is his breakout story — The Kandy-Kolored Tangerine-Flake Streamline Baby, about the early 60s custom car subculture — which was explicitly announced as pieced-together notes, a torrent of quasi-random article- and thought-fragments suggesting an observer overwhelmed by the sheer material profusion of this micro-world he has only just arrived in. It’s not an unjust aspect to try and get across, of course — but it’s less unlike the despised neutral-observer model than he quite recognises. The best of his pop-cultural successors were well aware of their complex personal investment in and ambivalence towards the consumer items they celebrated and damned — and their narratives and snapshots reflected this, not least in the ways a precise, shaped grasp of whatever it was (Northern Soul or post-punk or ________ or ________ ) helped them formulate and delineate the space they shared. But they had a deep stake in their subject-matter, even when it enraged them. For Wolfe, the ventriloquising instead masks the ventriloquist: we know that if the facts are not just made up, he must have been there to get them, and to get into these heads for these feelings — and yet he really quite often isn’t there on the page, and certainly not upfront, Mailer-style. Absence of Wolfe, absence of stake. Still, in the introduction to The New Journalism he very much is there: he’s telling the story of his little war on the New Yorker, and his larger war against an outmoded way of writing and thinking about writing. In fact we barrel from mummies into his Speed-Read Theory of the Modern Novel in its Ghastly Decline. The modern novel, it seems, is mannered and writerly and irrelevant, because so terrified of all the bright busy life unfolding before it — and this is great! Because it leaves the field wide open for the kazoo gang! And not just the field, either: everything that goes to make up realism has been abandoned, its devices and its techniques and its philosophy. Realism to fiction, he says, is as the “introduction of electricity into machine technology” — why would anyone sane want to go back to the old ways? So here in the outlay of his theory, it’s suddenly all about him: his writing, his taste, his values — and less openly, because this is where he knows he makes himself vulnerable, it’s about what he wants. Which is the intellectual respect due a novelist. Which novelists are still getting in 1975 — except the novelists are bad now and what Wolfe does is infinitely better. He’s the Dickens of the late 20th century — how can no one see this yet? But because he never once implicates his own aspirations or ideals or conflicts or doubts as potentially conflicted or hypocritical or naive or absurd, the fun-poking is really only unlike so-called objective academic observation in its vocab and style. Much of his work after the collection was further torqued against the so-called Serious, against modern art and architecture — and against any politics claiming to ameliorate anything. 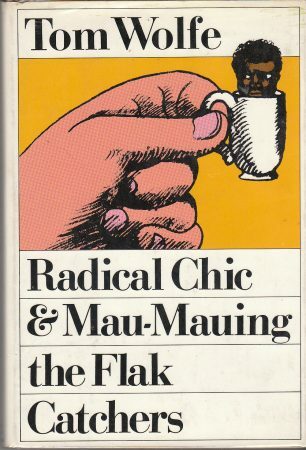 It was terrific for observational zings, and indeed for identifying the gulfs opening up between the whatchamacallit technocracies of much present-day cultural production and, well, everyone else — but a querulous ressentiment was also always at work. Wolfe wants for himself the regard he believes Bernstein didn’t deserve — and of course something like this is a drive for almost all writers, for almost anyone in any creative field. But he wants it far far more than he can even imagine fashioning a cultural (let alone a political) space in which the Panthers and his readers could humanly meet and mix, and properly argue. He held himself quite apart from the uses others — many of them far less talented — put his early work to, which was trying to bridge those gulfs (and others he had no interest in), by putting themselves in question. Wolfe belongs — he believes — right up in the pantheon of the admired, unbothered Gods, even when he’s been toppling some of same out of their alcoves. The shoe-leather that he once claimed he loved went missing. He swapped talking to people (and listening) for talking about people talking about other people. And in the end he turned to novels himself — and wasn’t good at them. Ten non-fiction titles between 1965-82; then just four fiction, and they took him 30 years, and the last one was laughed out of the building, and the best, which was the first, was responsible — when it became a film — for a far, far better book: Julie Salamon’s The Devil’s Candy: The Anatomy of a Hollywood Fiasco. 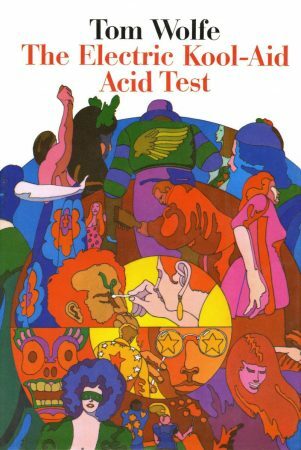 I bought ‘The New Journalism’, ‘Acid Test’ and a couple of other TW collections on the strength of recommendations in the NME and the former was a gateway to Hunter Thompson and Joan Didion (the second a gateway to the Grateful Dead 🤪). I got a first edition of ‘Bonfire’ signed by TW himself and then my interest dropped off. Even my enjoyment of ‘The Right Stuff’ movie couldn’t inspire me to pick up the book.